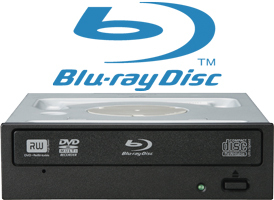 The BDR-203 Blu-ray Disc/DVD/CD Writer is the next generation Blu-ray Disc Writer from Pioneer. This BD/DVD/CD Writer will write up to 8x on BD-R (25Gbytes) and BD-R DL (50Gbytes) media. This writer allows users to test & author high-definition Blu-ray Disc content while also delivering the ability for high-capacity data storage. The BDR-203 can read BD-ROM and BD-ROM DL, read/write single and dual layer BD-R & BD-RE discs, read DVD-ROM, and read/write most DVD and CD recordable media formats.